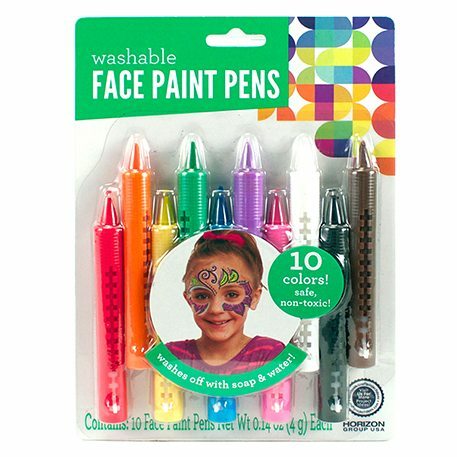 Face paint pens are easy to use and rub on skin smoothly. The soft tip allows you to create your own face designs for all ages. Great for Halloween, parties, dressing up and much more. Washes off with soap and water.